Shining the spotlight on other people's brands, products and services across all of your business channels is an effective brand strategy you can use to leverage your brand to the next level. While it may seem counterintuitive to share the spotlight, the truth is that recognizing the contributions of others will lend your brand credibility while attracting attention to your brand's message. As you begin to put others at center stage, you will be building personal and professional connections that will return the spotlight in your brand's direction and increase your impact, influence and visibility to a wider audience. This brand strategy will gain you and your brand even bigger results when community groups or even business alliance partners make it their attention to spotlight each other's brands often across all of their business channels. You want to be sure that it is with people you know, like and trust. 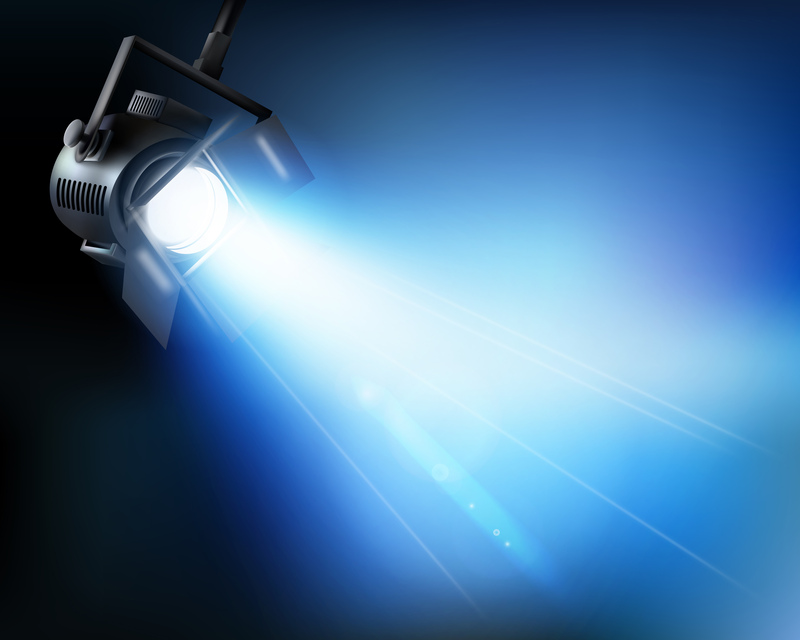 Each individual spotlight can quickly grow especially if the group collectively has a large social media network. Ask each member to tally up his or her social media network numbers and then collectively add all of the numbers together. You may be surprised by the amount of power you can collectively leverage each others brand. By spotlighting one another consistently in your individual networks you are opening up your brands to new audiences and doors of golden opportunities. When you turn the spotlight on other brands, you will find the spotlight turning back to shine directly on your brand. People love to support those who they know support them. With this said, remember that this strategy only works when you are leading from your heart and a place of integrity. The house of cards will fall down and this brand strategy will not work if you are not being authentic. But if you are loyal to your brand's message as you spotlight the success of others, you will increase your brand spotlight and gain greater impact, influence and visibility in the marketplace.